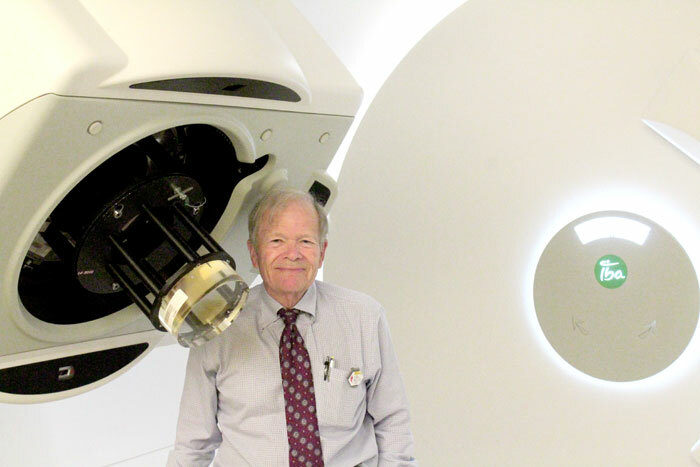 Photos by Brandon Macz: Dr. George Laramore helped establish Seattle Cancer Care Alliance's Proton Therapy Center, which has treated around 3,000 patients since opening in 2013. The back side of the 110-ton gantry used to treat hard-to-reach tumors. The SCCA Proton Therapy Center is located at 1570 N. 115th St.
Dr. George Laramore began thinking about the proton therapy center he wanted to see in the Pacific Northwest back in the early 2000s. Plans were in place by 2008, but the economic downturn put its construction on hold. It was through perseverance, University of Washington faculty, Seattle Cancer Care Alliance and a partnership with ProCure Treatment Center, Inc. that Laramore was able to push through the opening of the SCCA Proton Therapy Center in 2013 where he served as medical director. The center has treated nearly 3,000 patients in that time and is the only proton therapy facility in the Northwest. The Madison Park resident recently attended a conference in Miami where he received the National Association for Proton Therapy’s Lifetime Achievement Award. “I’m really quite flattered to get the award this year,” Laramore said. 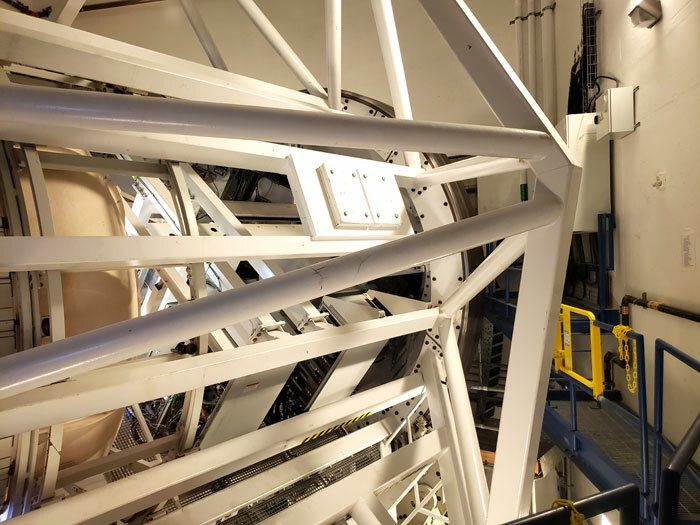 Laramore credits his background in physics with bringing him into the science, having developed an interest in biological systems at Sandia National Laboratory. Laramore left Sandia and went to Florida at 30 to attend the University of Miami Miller School of Medicine. His interest in neutron radio therapy brought him to the University of Washington. Laramore arrived in Seattle in 1976, and has called Madison Park home since 1987. There were scientific conferences all over the world that addressed potential new forms of cancer therapies, he said, and in the ‘80s Dr. James Slater began pushing for proton-based particle beam therapy; he is a past recipient of the NAPT Lifetime Achievement Award. Protons biologically interact with cells similarly to standard X-ray radiation, but can be narrowly focused during treatments to only target cancerous tumors, preventing damage to healthy tissues. Pencil beam scanning is the most precise form of therapy, accurate within millimeters. Protons are generated using a 220-ton cyclotron. Electromagnets are used to steer the protons into beam lines, which are shaped to conform to the size and shape of a patient’s tumor. 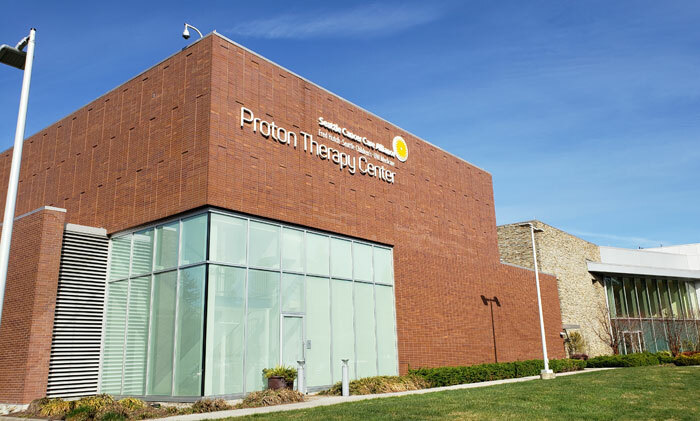 The SCCA Proton Therapy Center has four treatment rooms, the largest being The Gantry, which has a 35-foot diameter wheel that can rotate 360 degrees around a patient to treat hard-to-reach tumors. The gantry weighs 110 tons and is 30 feet tall. Laramore jokes that putting the business plan together for the SCCA Proton Therapy Center was harder than learning the technology. In order to come up with the designs, the doctor took a sabbatical and toured other clinics, he said, so he knew what would be needed. “It’s a fun technology and it’s also very useful for patient care,” Laramore said. The SCCA Proton Therapy Center sees patients from all over the world, many coming from Asia and Canada, Laramore said, adding more pediatric patients are now coming in from Seattle Children’s Hospital for treatment. Laramore is now an attending physician at the center, and does less clinical work these days, he said. He’s also on the board of the Proton Cooperative Group and is the institutional representative for the Particle Therapy Cooperative Group, where patient information is shared in a registry for ongoing data analysis. “So we’re always trying to improve things,” Laramore said. When he’s not working, Laramore said he enjoys fly-fishing. He stays in shape by swimming laps before work and running in the neighborhood. Learn more about the Seattle Cancer Care Alliance’s Proton Therapy Center at sccaprotontherapy.com.